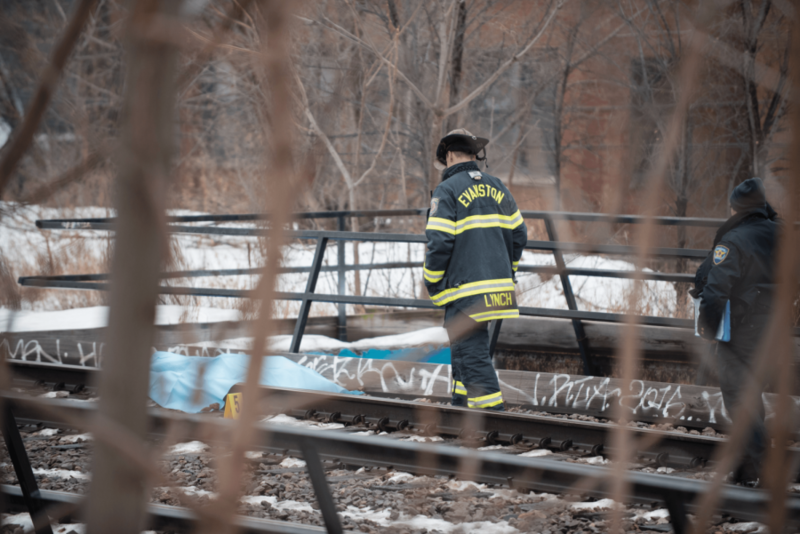 Evanston Fire Department firefighters investigate the Metra line. Evanston Police Department identified Monday the body of a man found near the Metra tracks. Police identified the body found near the Metra line track in downtown Evanston on Thursday as 34-year-old Evanston resident Jason Arcangeletti. Evanston police Cmdr. Ryan Glew said initial indications show Arcangeletti’s death was a suicide caused by blunt force trauma after being hit by a train. He added the cause and manner of the death are not official at this time. Police delayed the autopsy until Sunday because the body was too frozen, Glew said. The accident was reported to the Evanston Police Department by a Metra engineer at 8:06 a.m. Thursday. The accident on the Dempster Street overpass caused delays to the Metra’s Union Pacific North line for about 30 minutes. Arcangeletti, who lived a few blocks away from where his body was found, was pronounced dead at 8:59 a.m. Thursday.